A family play session, popular with Dad’s and Grandparent’s. Lots of activities and a lovely outside play area. A chance to meet other parents and also to talk to the staff at the Children Centre about any issues that are affecting your family life. 90’s upwards music, easy routines in a darkened room disco lights and glowsticks. Have fun as a family for boys and girls of all abilities from 7+. Wheelchair access and disabled toilet available. Confidence and motivation building, fun and a great way to get children involved in family time. The hall can be cold to start so please bring a coat or hoodie for your children and a drink. Please be careful if using glow cosmetics on little ones skin and no child without an adult and no adults without a child as you will be responsible for them. For more information and to book a place, please contact Penny on 07921 561 547. Free Dudley Discovers includes make and take crafts, games, dress up and other fun activities. Themed around the Museums award winning collection, Dudley Discovers helps bring local history to life in a fun and inspiring way. Activities will change every weekend. 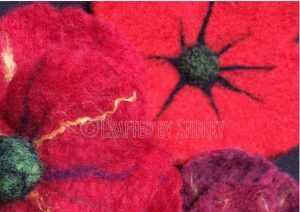 Join “Crafted by Snorky” to create your hand-felted poppy to take home. An opportunity to learn a new skill (or improve an existing one) in a relaxed & supportive atmosphere. Session includes tuition, materials & use of equipment. Suitable for teens & adults. Additional materials are available to purchase on the day for continuing your new skills at home. Spaces are limited, booking is essential. Please inform “Crafted by Snorky” as soon as possible if you cannot attend the workshop. Retainer is non-refundable 5 days prior to class. Extenuating circumstances are taken into consideration. Remaining £20 is due on arrival to “Crafted by Snorky”. Introductory kits are available for purchase on the day starting at £15. Please note cash payments are required for balance and kits. Baysgarth leisure centre on Brigg Road in Barton, offers Children At Play (C.A.P) for children and young people with an additional need. This is a play session which includes activities in the sports hall and also in the swimming pool. 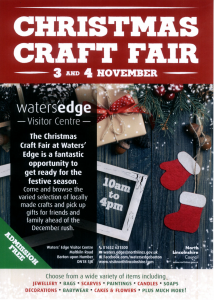 For more information call 01652 632 511.